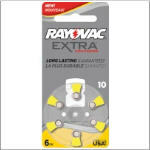 Rayovac Extra Advanced, size 10 Zinc Air Hearing Aid Batteries 1.4 volts The World's Longest Lasting Battery. 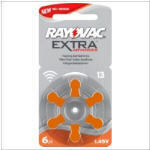 Rayovac Extra Advanced, size 13 Zinc Air Hearing Aid Batteries 1.4 volts The World's Longest Lasting Battery. 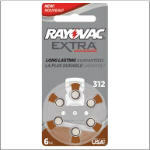 Rayovac Extra Advanced, size 312 Zinc Air Hearing Aid Batteries 1.4 volts The World's Longest Lasting Battery. 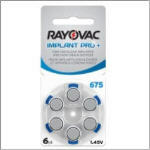 Rayovac Extra Advanced, size 675 Zinc Air Hearing Aid Batteries 1.4 volts The World's Longest Lasting Battery. 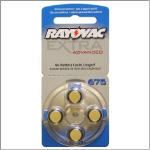 Rayovac Cochlear Extra Advanced, size 675 Hearing Aid Batteries 1.45 volts The World's Longest Lasting Battery.